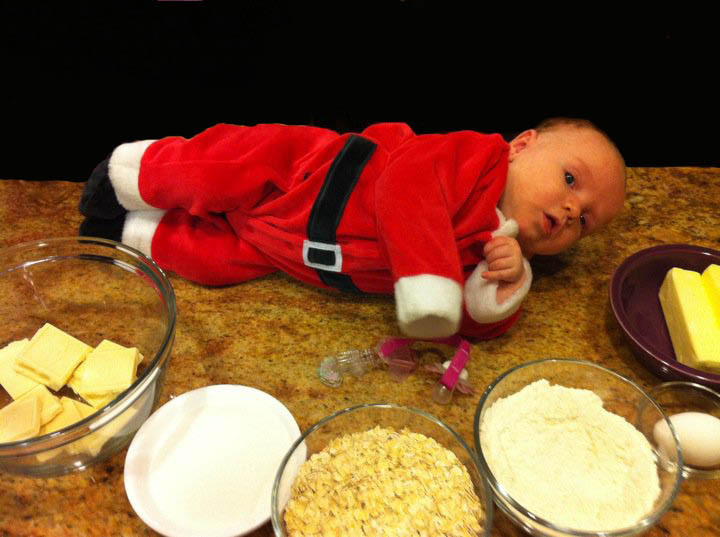 Somehow ingredients look so much better with a delicious little baby on the counter! This is my niece Gwen, and she was so excited to know we were making THESE cookies because she knows that these are my husbands favorite cookies, and knows when she gets big enough to eat them, they will be her favorite as well. Her mother helped bake today, and we had a blast! Chunks of white chocolate make me happy, enough said. I like to use white chocolate that has cacao butter in the ingredients. **Attention** - If it does not say cacao butter, it is NOT real chocolate. I must say, the artificial "white chocolate" is still delicious, but I don't like that it "pretends" to be white chocolate. It's obviously an impostor, and shouldn't be used in a white chocolate recipe! These cookies get pressed down to about 3/4 of an inch in height, and sprinkled with a few flakes of sea salt. Yes, I know what you're thinking. "I think I'll skip the sea salt". DON'T. 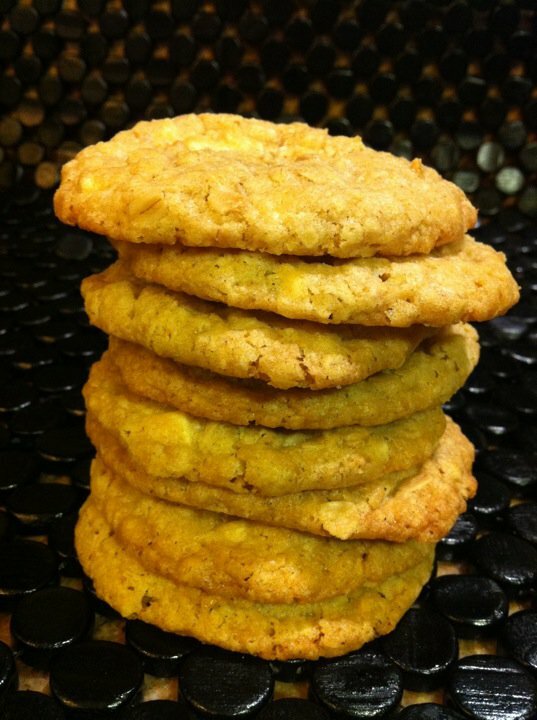 You don't want to miss out on the amazing flavor of this cookie's sweet white chocolate, brown sugar, and of course, butter. Mixed with a tiny bit of salt. It's, well, incredible. Preheat oven to 350 degrees. Line baking sheet with parchment paper or Silpat. Whisk flour, baking powder, baking soda, and table salt in a medium bowl. Beat butter and sugars until light and fluffy. Scrape down bowl with rubber spatula, then add egg and vanilla and beat until incorporated. Scrape down bowl again. Add flour mixture gradually and mix until just incorporated and smooth. Gradually add oats and white chocolate and mix until well incorporated. 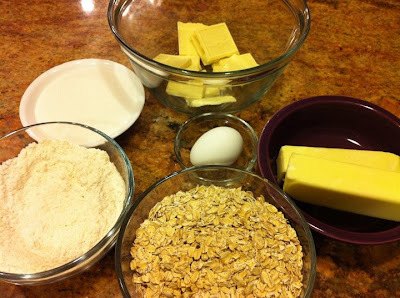 Divide dough into 24 equal portions, each about 2 tablespoons. Roll between palms into balls, then place on lined baking sheets about 2 1/2 inches apart. Using fingertips, gently press down each ball to about 3/4-inch thickness. 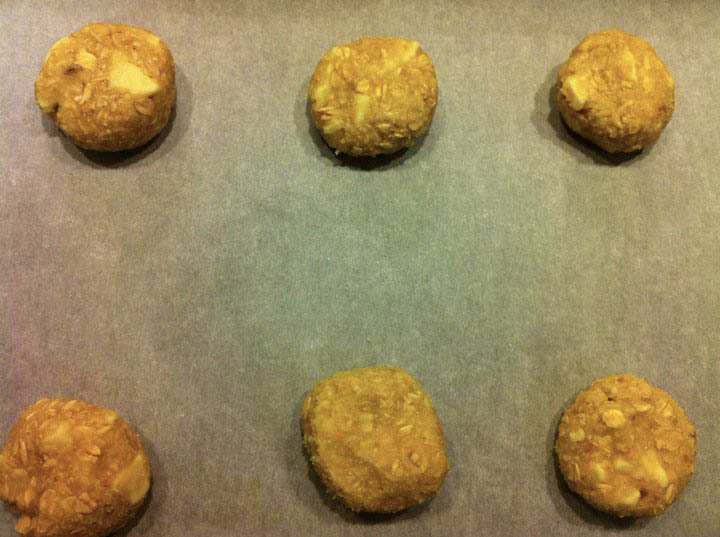 Bake until cookies are deep golden brown, about 13 to 16 minutes, rotating baking sheet halfway through. Transfer baking sheet to wire rack to cool.